If you are looking for a beautiful, but easy hike to do with you and your family, look no further. 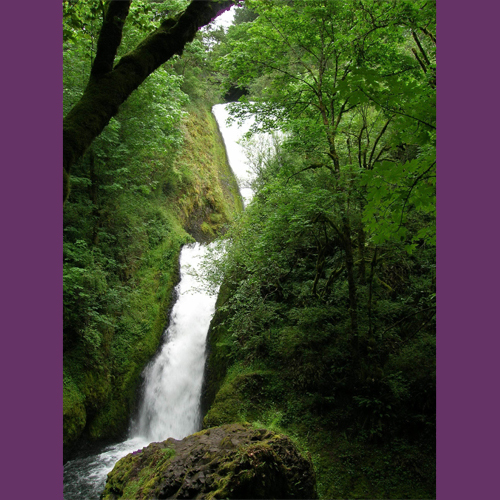 Bridal Veil Falls is right along the historic scenic highway that runs along the Oregon side of the Columbia River Gorge, and it provides breath taking views for it's easy access. This is a quick, but nice stroll for kids or less mobile hikers. The trail is paved, and all-access, circling the top of a bluff in Bridal Veil Park. There are beautiful views of the Columbia River, as well as a good look at the transportation routes in the area. Numerous historic markers explain Gorge history, geology and plant life. Hikers in the park should check out the Bridal Veil Falls Hike as well.